Adding this LH OE style 93 cobra brake hose from Late Model Restoration to your cobra brake equipped 1979-93 Fox Body Mustang will be the perfect replacement! 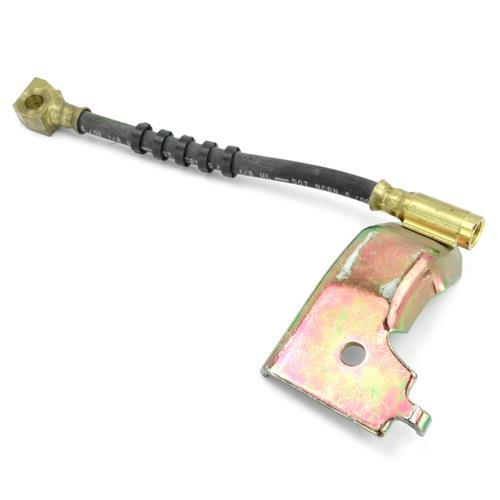 This OE type rubber direct replacement LH rear brake hose for the 93 Cobra is made to the original factory specifications for a perfect fit replacement or upgrade. This is the hose needed for 79-93 Mustangs that have converted from rear drum to 4-lug rear disc utilizing 1993 Cobra or 87-88 Thunderbird Turbo Coupe brakes.